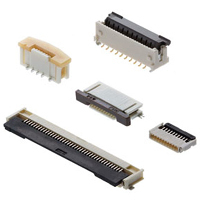 Whether you’re designing the latest smart devices for home automation or are working on IoT-enabled automation, you can choose from all of Molex’s latest data, power and signal connector innovations direct from our stock. The Industrial Internet of Things is bringing new opportunities to manufacturing, and Molex’s range helps you keep up with the latest developments. 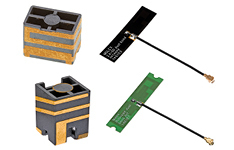 Designed to provide safe and reliable connections and protection from contamination, moisture or vibration, their standard industrial products and antenna and cable assemblies provide a complete solution for industrial applications. When it comes to the Connected Home, from smart appliances and thermostats to networked security and wireless media, Molex’s standard and custom solutions support a wide range of applications. 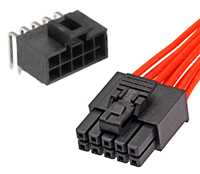 Find out how Molex are innovating industry-leading products for the evolution of Industry 4.0 and The Connected Home, and how we work with them to find the best solutions for you. 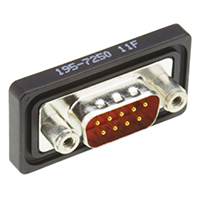 Board-to-board connectors with fine pitch and a narrow width, featuring dual contact design for secure electrical and mechanical reliability. 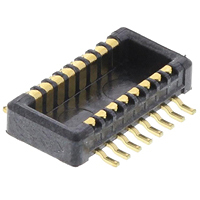 Super-fine pitch, small-size FPC Connectors with ZIF, non-ZIF, slider, flip actuator and FPC-to-board styles. Providing you fast, reliable connections. 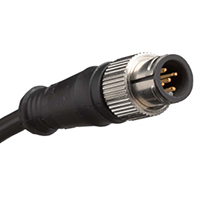 From cable assemblies to junction boxes, RJ45 to sensor connectors, the Brad range delivers reliable performance in demanding industrial applications. A comprehensive range of D-Sub connectors and hoods and all the kits and accessories you'll need to help with installation. Choose from over 700 devices. DesignSpark is the home of our engineering community. It's an online platform which allows passionate engineers to share ideas and find resources or tools to help with their projects. Find the products you need for your designs in our interactive Connected Home. Hear from Molex's subject matter expert about Industry 4.0, and the impact it's having across industry.